Yet again, Facebook has changed their algorithm to the dismay of us Social Marketers and, in particular, to those in the hotel industry relying on Facebook for increased traffic and bookings. which will make the algorithmic change less concerning. Facebook is, and always will be, essential. (unsurprisingly) further increase their advertising revenue. Despite this, Facebook remains essential for hotels. Why? Because it’s diverse, has a fantastic advertising tool, and holds the largest user base of all Social Media channels. Without Facebook, you can’t access the full Instagram business profile, and you won’t be able to showcase your fantastic reviews or utilise Facebook Groups. After all, the first place perspective guests look to check out a hotel is (perhaps after TripAdvisor), Facebook. The question is how do we beat the algorithm, without spending our entire budgets on Facebook ads? There are a few ways to overcome the problem. Include more posts which pose questions and provoke shares, post content on Facebook that you don’t post on your other channels (just make sure people know it’s special! ), go live on a regular basis, and use more video. Get smart with campaigns. Don’t just shove money behind paid campaign after paid campaign, but track the results of all your past campaigns, see which perform the best, and keep testing new methods and ideas. A little often is better than one huge shove. Also seek to learn more about the complex art of the Facebook ad; naturally, the more you know, the better the results will be. Plus Facebook will be happy if you keep using their ads. We’ve mentioned the usefulness of Facebook Groups in previous blogs, but it can’t be overstated how useful they can be. Of course, some Facebook groups are either dead or full of spam, but keep searching and you’ll find a really effective group to be involved in. Post in industry and locational-relevant groups on the regular, engage with other users in these groups, and you’ll begin to see relationships develop. We currently have several clients, and a few lovely contacts, who we’ve met simply through the use of Facebook groups. Groups are free, ignore the frustrating algorithmic news feed, and can be really effective. One of the fastest ways to oversee excellent social growth (while overlooking any algorithmic barriers) is via the use of contests and giveaways. 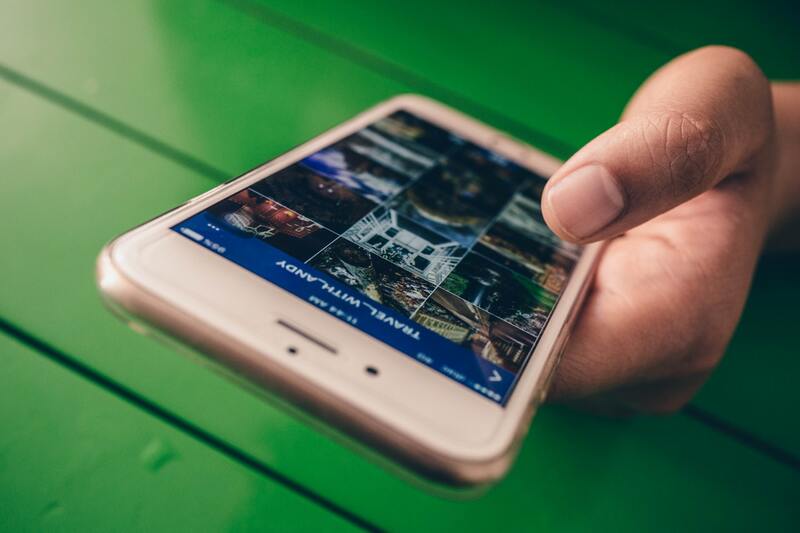 Not all hotels will be in a position to offer a free weekend stay or maybe not even a free meal, but at the very least, team up with a local patisserie or restaurant to offer an enticing giveaway for a lucky winner of whoever shares your Facebook post. Promote your contest effectively and you’ll see your growth and relevant reach soar. Influencers may be even more effective than contests at overseeing fast and relevant growth. Find yourself a relevant influencer for your target geographical area (find them using simply Facebook/Instagram search or using a platform such as Tribe), offer them a free and pampered stay in your hotel (in return, of course, for several Social Media posts and maybe even a blog post interview), and reap the rewards as they tag you in their Facebook posts. There’s a reason influencers can earn big money – they’re effective, usually cheaper than Facebook ads, and overlook the algorithm. about our Social Media Management services by getting in touch, or reading more here. Enjoy our new eBook, The Ultimate Guide to Social Media Management, by clicking here. Thank you for reading and have a nice day.